Home / blog / How Has the Government Shutdown Affected Head Start Programs? How Has the Government Shutdown Affected Head Start Programs? 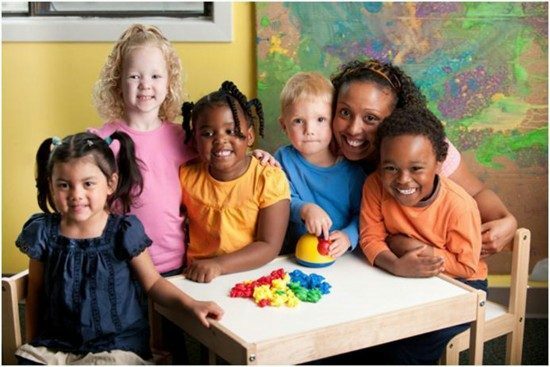 The Head Start Program is a federally funded program that provides school preparation training for children ages six and under who live in low-income families. In addition to preparing children for grade school, Head Start also provides important services relating to cognitive development, nutrition and health to underprivileged children living in poverty. The 2013 Government Shutdown forced Head Start programs nationwide to shut down after funds required to run this important service became unavailable. Head Start Programs located in the states of Alabama, Connecticut, Florida and Mississippi have closed as a direct result of the shutdown, leaving thousands of children and their families with no access to the benefits that come from participation in this vital program. Thirteen Head Start programs in Bridgeport, Connecticut were closed in October due to the Government Shutdown. This caused the assistant director of Action for Bridgeport Community Development to be forced to send out over 300 potential layoff notices to their employees. Head Start programs that receive government funding receive their total grant on the first of the month. The Government Shutdown caused a delay in funding for the programs in Bridgeport, which had been eagerly awaiting funding that was due on October 1st. Some programs get funded on October 1st, while others get funded on November 1st. Concerns spread nationwide about what might happen to these Head Start programs that were already in financial crisis if the Government Shutdown continue up until the November 1st funding date and beyond. An estimated 86,000 children faced the possibility of losing access to these important programs, had the Shutdown continued. According to data collected by the National Head Start Association, there were over six million children under the age of six living in poverty in the United States in 2012. Head Start programs were able to serve over one million children last year, providing them with important programs and services that include medical, dental, nutrition and basic education preparation to help them get a good “start” when they go on to grade school. The current “poverty line” in American is defined by the National Head Start Association as a family or household with 4 persons that makes under $23,550 a year. This is why it is so important that all of the opportunities available through the Head Start programs be allowed to continue despite the Government Shutdown and other financial troubles in Washington D.C. Despite the fact that the Government Shutdown has ended and federal funding has returned to these programs, Head Start programs are still at-risk. Loss of funding through budget cuts that were implemented in March 2013 as a result of sequestration have caused many facilities to reduce the number of spots available to local children and families. Studies show that if the federal government’s borrowing limit is not increased in the very near future, more and more of these Head Start programs will have to make staffing and spot reductions or be forced to close down completely. As a result, Head Start programs that want to survive the current budget cuts and financial issues will need to find new ways to make up for the lack of government appropriations. Supply Source Plus to the Rescue! Head Start program administrators who are looking for ways to reduce supply costs can work with Supply Source Plus, a professional procurement solution that can help human service organizations to find better solutions for supply and service expenditures. Supply Source Plus works with a list of vetted suppliers that work together to get the best-possible prices and solutions for Head Start programs and other government funded organizations. A free supply and cost analysis is provided to Head Start programs to determine whether or not they could reduce supply costs and improve their budgets by controlling costs and boosting savings. This helps Head Start program administrators to continue meeting the needs of low-income children and families who rely on their services without having to cut back on staffing, participant spots or compromise the quality of the services they provide. Contact Supply Source Plus for more information or to schedule your free supply cost analysis. You can use the online forms available via the website or call direct toll free via 1-866-248-4520.